Environmental conservation may seem like a relatively hands-on proposition: plant some trees, study or tag some endangered animals or work on the political level to improve regulations. However, new technologies are playing an increasingly larger role as well, as we’ve seen in real-life scenarios where drones are dropping vaccine pellets for endangered ferrets like glorified gumball machines, or protecting salmon by shooting lasers at lice, or even turning plastic trash into cash with blockchain tech. 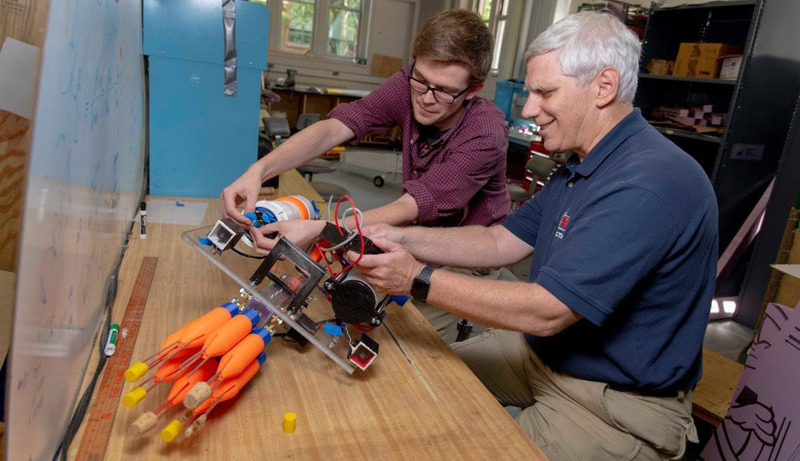 Now students at Worcester Polytechnic Institute (WPI) are developing an underwater autonomous robot that uses machine learning to hunt and kill lionfish (genus Pterois), an invasive species of fish that originates from the tropical waters of the Indian and Pacific oceans, and which is now proliferating in the balmier zones of the Caribbean, Bahamas, and parts of south and east coasts of the United States. According to the U.S. National Oceanic and Atmospheric Administration, there might be up to a million of these fish in these places where they have no natural predators to keep them in check. Ironically, genetic analysis indicates that these huge populations might be derived from only a few fish that were released into the wild from careless aquarium owners a couple of decades ago. Even more problematic is the fact that one lionfish can lay 30,000 eggs on a monthly basis, while voraciously devouring the young offspring of other species. There’s an interesting flip side, however; these invasive fish are also considered quite tasty for upscale palates and can fetch up to USD $20 per pound, making it a profitable catch for local fishermen. Up until now, invasive lionfish populations have been deliberately thinned out through trapping, or human scuba divers manually spearing them, but as one might guess, this is time-consuming and laborious, and these methods don’t tackle populations hidden among coral reefs or in the deeper stretches of ocean. Automated methods have been used too, but these require being tethered and controlled by a human operator. Confronted with these factors, the students set out to build a robot that wouldn’t need a human managing it. 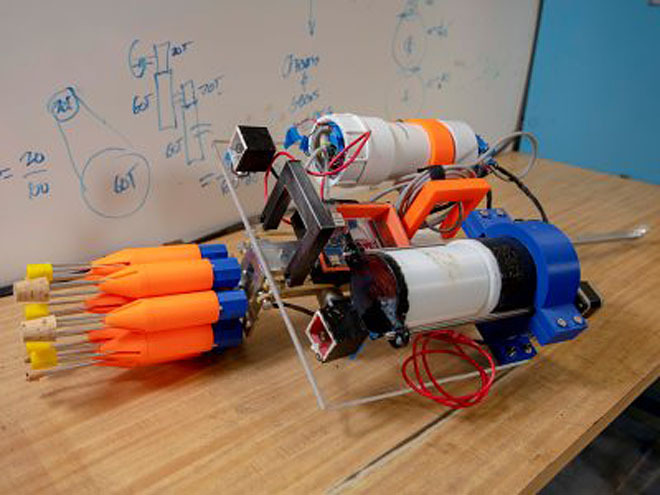 WPI’s design looks quite menacing: it sports a revolving cylinder that can rotate and shoot out spears. Once deployed, the spear tip detaches and helps float up the dead lionfish up to the surface for collection. To compensate for the loss of mass equivalent to the spear, the robot has a watertight, air-filled chamber that automatically puffs up a bit to keep the robot at the same level of buoyancy. Under the hood, the robot uses a neural network and machine learning, and integrates an advanced system for computer vision that is able to distinguish between other native species and lionfish. This was achieved by training the systems with thousands of lionfish images in different colors, taken in different angles and lighting conditions. 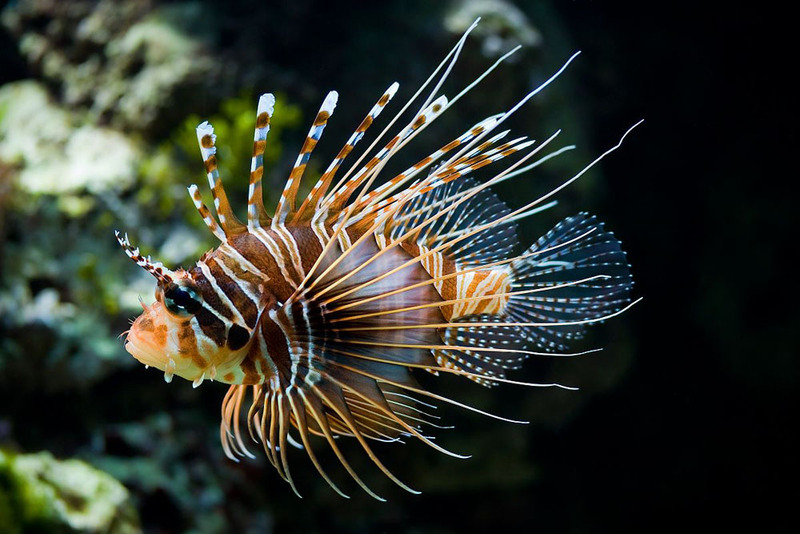 Using this training data, the system is able to recognize a lionfish accurately 95 percent of the time. Images of human scuba divers were also fed into the system, to train it to not shoot at them. 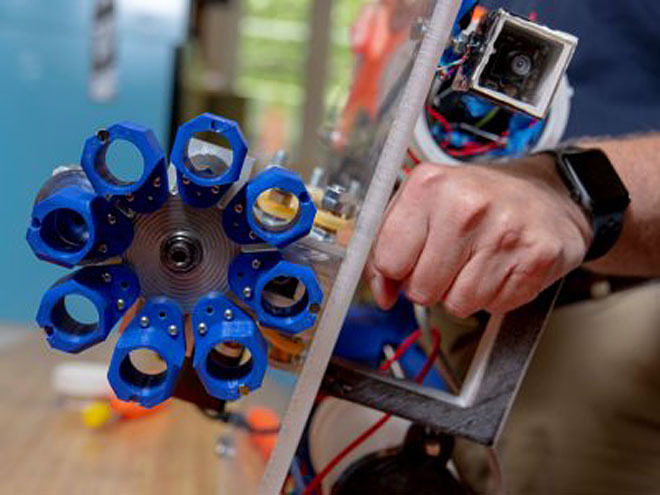 In the future, the student team will work to create a navigation system that relies on a three-dimensional search grid, which the lionfish-hunting robot can use on its own in order to locate targets. The post Autonomous Underwater Robot Hunts Invasive Fish Species appeared first on The New Stack.